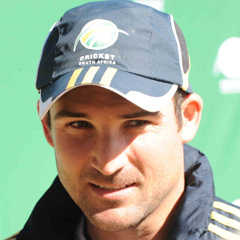 Cape Town - Seasoned Proteas Test favourite AB de Villiers says there is widespread belief in the camp that rookie batsman Dean Elgar will soon prosper for the country in the five-day arena. The left-handed, Welkom-born Elgar, 25, is expected to retain his place - albeit still not ideally stationed in the middle-order - for the first Test against New Zealand starting at Newlands here on Wednesday. In his lone appearance thus far, he recorded an unfortunate “pair” (the 38th batsman in history to register that indignity on debut) against Australia in Perth, where he was given a fiery baptism by Mitchell Johnson in particular; the left-arm speedster snared him both times. But the Proteas, as with many other Test teams, are disinclined to write people off after a maiden cap - such reasonably modern figures as Graham Gooch, Marvan Atapattu, Ken Rutherford and Saeed Anwar have experienced double ducks on debut and lived to fight many notably more distinguished days. At a media briefing following training at a sultry Newlands on Sunday, wicketkeeper/batsman De Villiers was quick to stress to Sport24 that Elgar enjoyed the confidence of the squad. “No doubt about it. I don’t have to look at it too deeply ... every single guy in the team knows he’s a fighter and he’s proved it often over the last few years. “It shows in his personality and that’s the kind of guy you want in your team whether he’s performing well early in his (Test) career or not. It’s not a problem; we know he’ll come through. De Villiers, fresh from facing in the nets both Proteas seamers who are in recovery mode from injures, Jacques Kallis and Vernon Philander, strongly hinted that the former would be able to bowl in the Test - he will play as a key batsman anyway - whilst the latter still faced more of a race against time to make the cut. “Both look strong. Vernie I’m not 100 percent sure about; he’s got an injury he picked up not very long ago (whereas) Jakes has had a good amount of time to rest. He looked really good in the nets and he’ll be running in again. Cobras colleague Rory Kleinveldt is on high alert to replace Philander should he lose his personal battle to be suitably fit. De Villiers said he felt rejuvenated after his decision to opt out of the three-match Twenty20 series against the Black Caps a few days back, when the Proteas won 2-1 with a greatly re-arranged side. “Absolutely ... it’s all about managing your energy levels and injuries and niggles, and ultimately keeping the passion and hunger for the game to really succeed and do well for your team. “We play a lot of cricket throughout a year and we’re in a situation where we have to manage it really well. Most of our guys in the Test team are getting a bit older, especially a guy like Jakes and a few others who must really be looked after if we are to protect that No 1 ranking. The popular stroke-player said he felt he was in a “nice rhythm” at present in terms of his Test glove-work, considering that until relatively recently he had more or less abandoned ‘keeping for several years. “It did take some time (to readjust). It was tough at first, the preparation. It happened suddenly, in England, and I was thrown into doing it ... though I always wanted to follow Bouchie up with the gloves anyway. “I feel I understand really well what my role is now. I make the right time for both ‘keeping and batting. It is possible (to do both well) ... I don’t feel tired after a day’s play, or a Test match. It’s more mental than anything else. I run less, and the ‘fatigue factor’ is nonsense. If De Villiers is to be believed, the Proteas will have taken the necessary steps to guard against complacency when they tackle the underdog New Zealanders in the two-Test series. “We had a really good meeting with Gary (Kirsten) before this Newlands Test ... we sat down at the hotel and examined everything that’s happened over the past year, and what’s coming up. “The last time we had No 1 we rather threw it away as if it didn’t really matter to us. There’s a real sense of care in the team and spirit in this side; I’m really looking forward to 2013. Asked about the pitch, De Villiers said: “It looks like a typical Cape Town wicket. A bit of movement in the first two days, nice and flat day three, and then four and five hopefully a bit of turn for Robbie P (Robin Peterson) and some of our spinners. “I’m not seeing anything weird or different about it ... the seamers may enjoy a bit of grass on days one and two. “The New Year Test here is as special as they come. We didn’t have a Boxing Day Test this year so we’ll enjoy this one even more. “I’ve missed the game so it’s nice to be back for this particular occasion, hopefully with a big crowd in ... you can’t ask for anything better.